Celebrating the 4th of July is all about embracing everything American. The red, white, and blue of our flag make us feel proud, patriotic, and ready to take on just about anything. As we all gear up for our country’s birthday this year, we wanted to share a few of our favorite 4th of July themed homes from around the web. Take a look and get some inspiration for your own home! 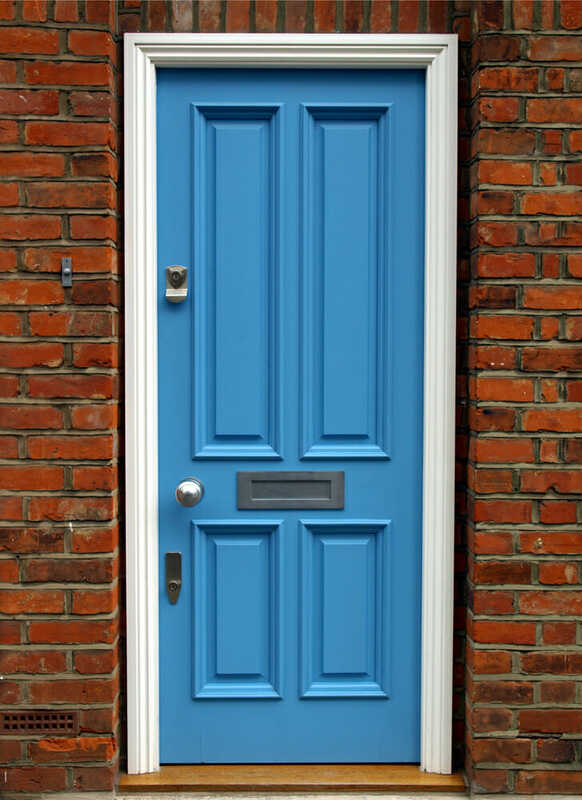 Nothing says, “Welcome to our home!” like a beautiful front door. We love this bold cherry red color against white siding and think the blue flowers really round out the theme. The decorative glass is pretty special, too! Repeating bright, fun patterns in textiles and other decor pieces is a perfect way to bring a room together. We love these bold, geometric prints and think that this particular color palette is perfect for the current holiday season (or any time, for that matter)! When we think of the average American home, this is what immediately springs to mind. 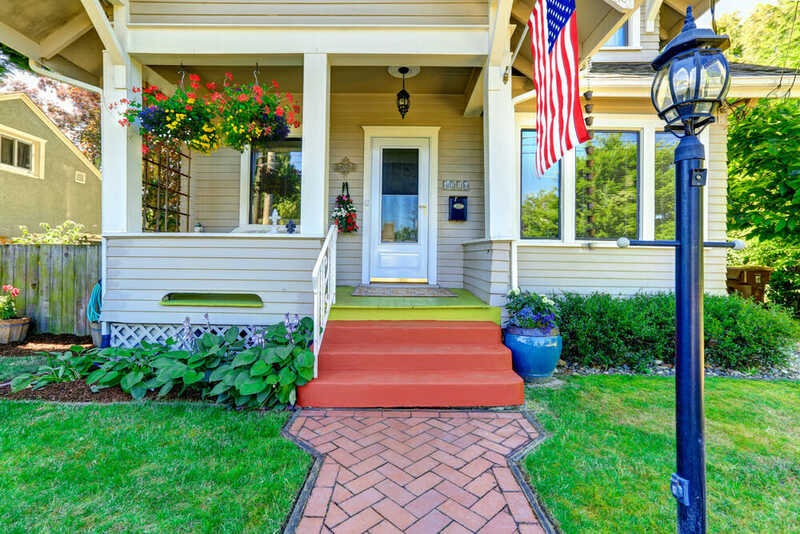 Classic style, well-kept hanging baskets and landscaping, and a patriotic American flag. The home of the brave! Crisp, clean, and immaculate—this is how white exteriors should be done. The navy-blue shutters and proudly waving flag make this traditional American home absolutely sublime. 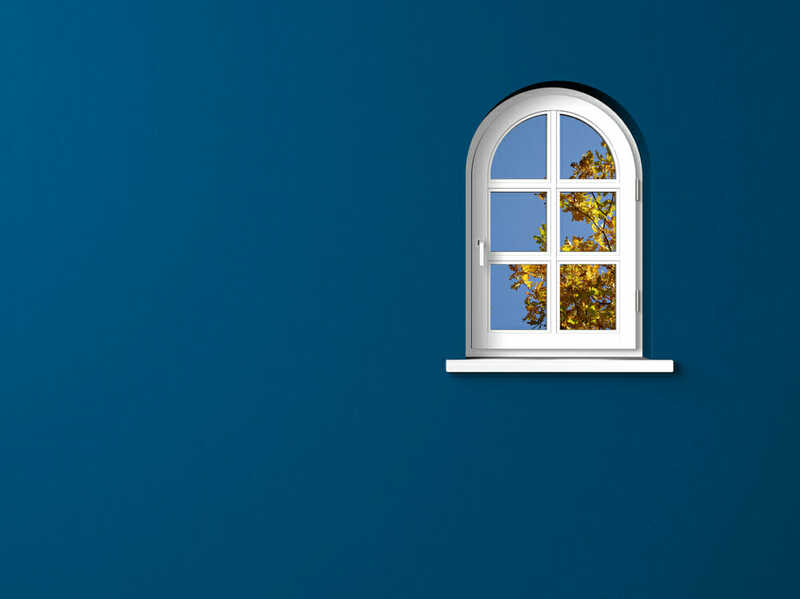 For window lovers, this is just about as good as it gets. The white arched window is picture perfect against this absolutely flawless blue interior. Plus, kudos to whoever painted this wall! This house might be small in size, but it’s big on national pride. 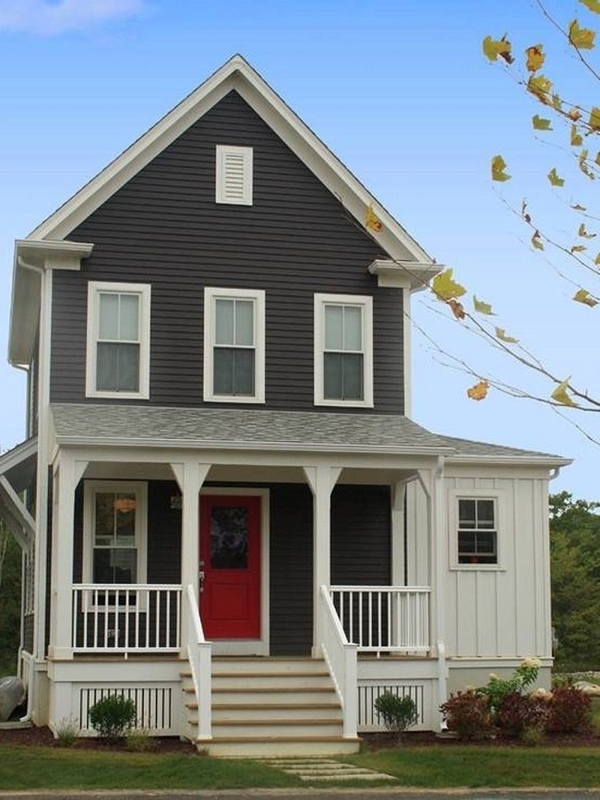 The well-maintained colonial blue siding combined with a cute porch complete with bright red door and crisp white trims make this an ideal American home. 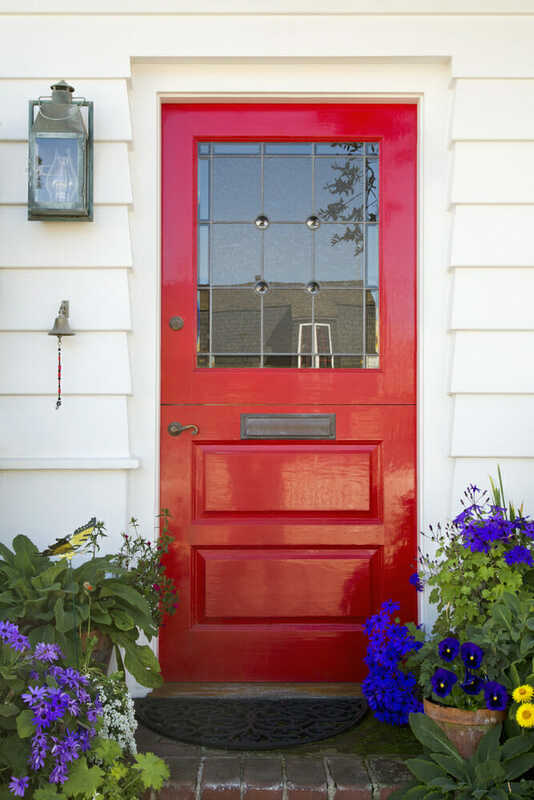 Since red doors are obviously a popular choice for homeowners, we wanted to showcase more than one of these beauties. This house nails the 4th of July look without looking like it’s trying too hard. When we look at this exterior, we can’t help but think about New England clam chowder, a weekend at Cape Cod, and crab legs. 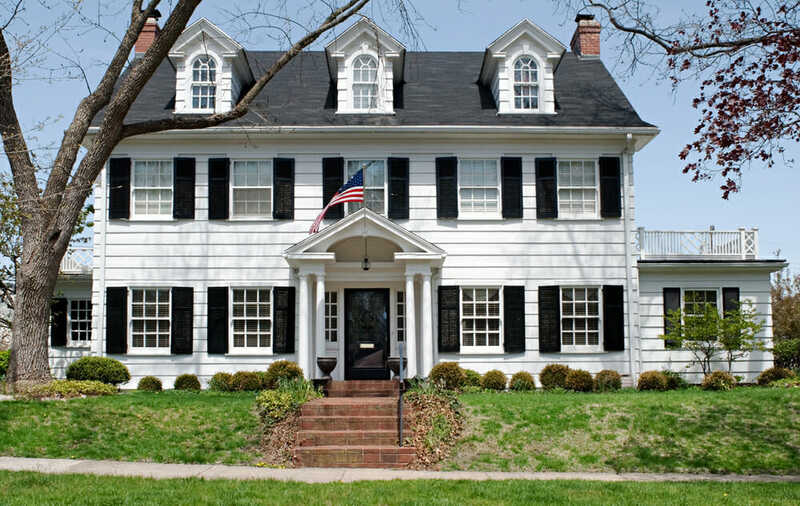 This gorgeous home is classic, huge, and oh so patriotic. Take one look at this house and try to dispute Country Living’s choice for 2010’s Home of the Year. We are especially fond of the quaint red shutters and the vertical slate gray siding. 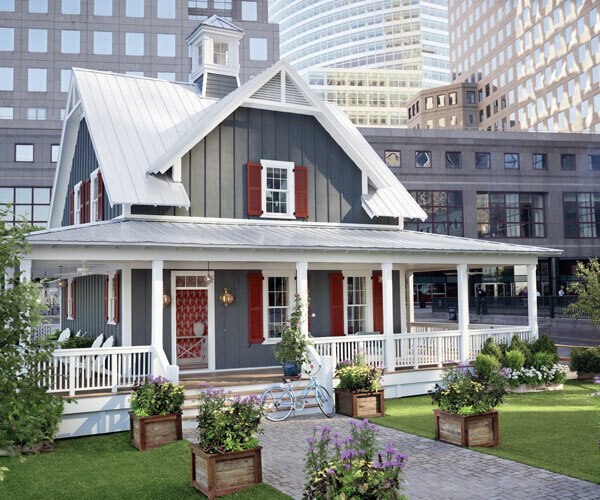 Oh, and the wraparound porch is pretty much perfect for a classic American home! No list of homes is complete without a fixer upper—and this one comes from the Gaines themselves. Magnolia House, the BnB that you can rent for your own Waco vacation, is decorated to perfection with a glistening tin roof and bright white siding. It can be difficult to pull off reds and oranges on the exterior of a home, but apart from brick, this is the way to do it. The reflecting pool and three (!) chimneys help a little as well. 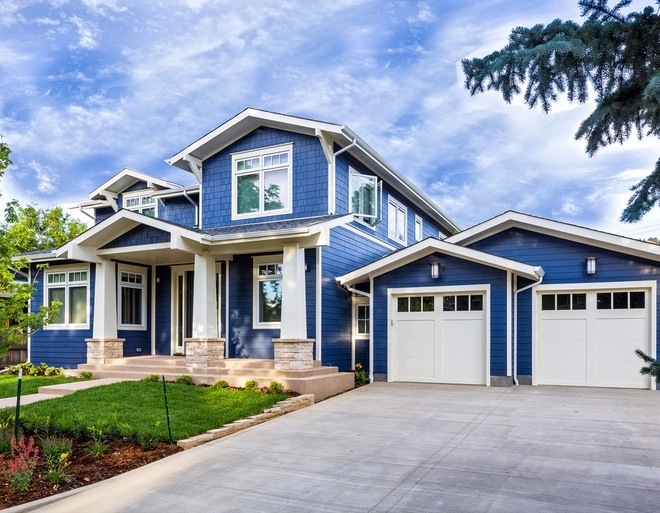 While bright colors aren’t to everyone’s personal tastes, we bet this stunning blue-sided exterior will be a favorite of pretty much all of our readers. Immaculate siding is a homeowner’s dream, after all. Sticking an American flag on your front porch isn’t the only way to be patriotic. These homeowners have their priorities right with this creative, bright, and oh-so-cozy decking area. The decor is perfect for a 4th of July party, too! 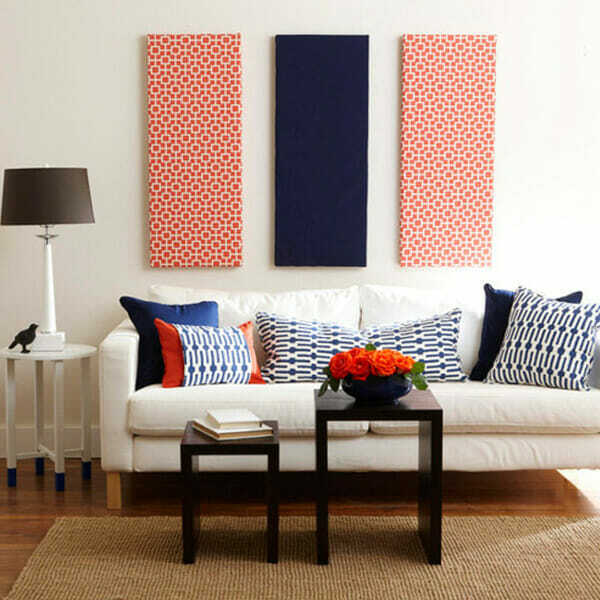 Great interior decorators recommend choosing one color and repeating it to really bring a room together. 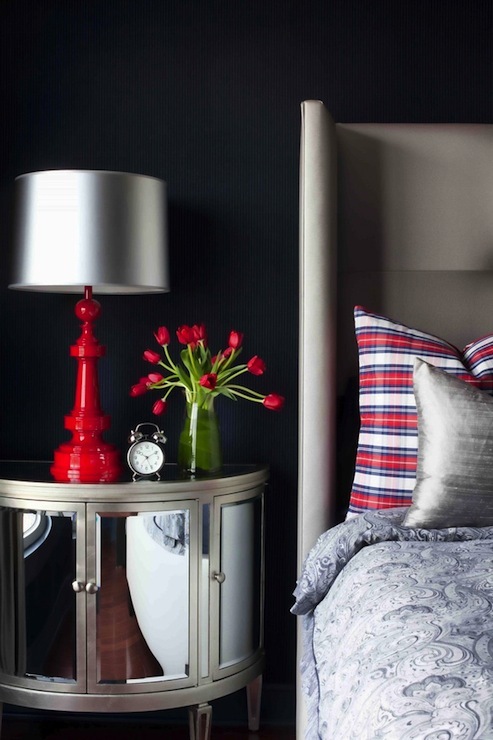 We love the bursts of bright red in this table lamp, accent pillow, and fresh cut bouquet of tulips—it’s a designer’s dream. If you want your living room to look styled, an enormous midnight-blue canvas against an exposed brick wall is the way to do it. Accent pillows and a staged coffee table make this red, white, and blue dream look as if it came right out of the pages of a magazine. 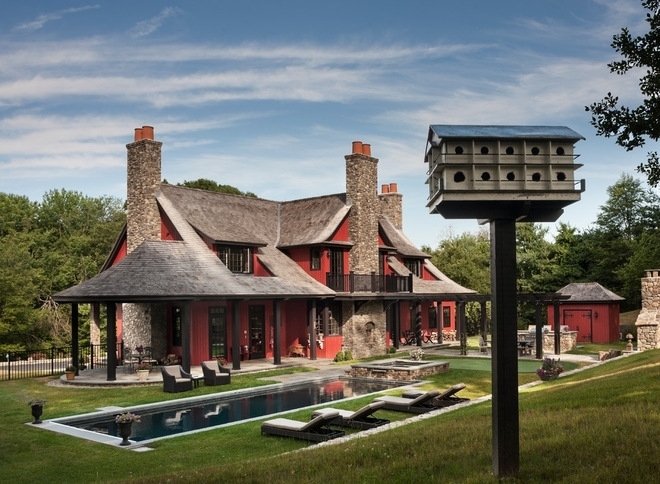 Which of these homes is your favorite? Does your home have a patriotic color scheme, too? Share with us in the comments below!